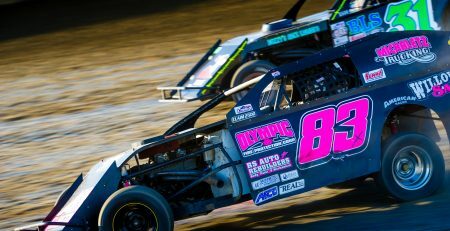 Spring Valley, MN – By: Todd Narveson: Super Late Model fans are excited in anticipation for the NAPA Auto Parts North Star Nationals coming to Deer Creek Speedway on Saturday, May 19. 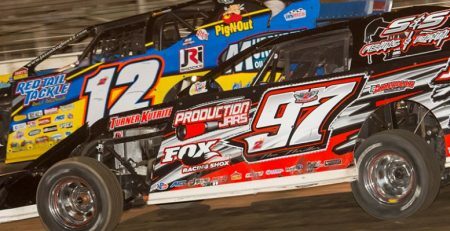 NAPA Auto Parts will present the first ever appearance of the Lucas Oil Dirt Late Model Series. The event will also be the first ever for the series in the state of Minnesota. The Late Model drivers will gun for a possible $12,000 to win payday at the end of the feature race. Expect to see some of the nations and regions premier Late Model drivers tackle “Southern Minnesota’s Speed Plant.” Also on the card that night will be the USRA Modified division. Look for a big field of Modifieds who will shoot for the $2000 check that awaits the winner. 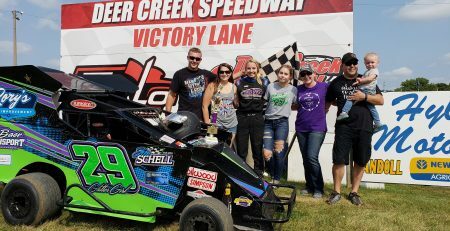 The day kicks off when the ticket window opens at 2:30 p.m. and racing will commence at 6:00 p.m.
Tickets are available at www.deercreekspeedway.com or by contacting the track office at (507) 754-6107. 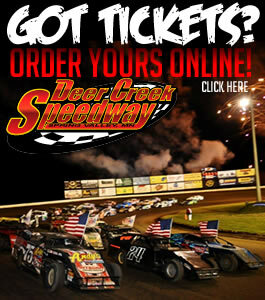 For more information on this event, visit www.deercreekspeedway.com for further updates. Also “Like” their Facebook page, follow them on Twitter @DeerCreekSpeed (#TheCreek) or view some previous season’s action on the YouTube channel.